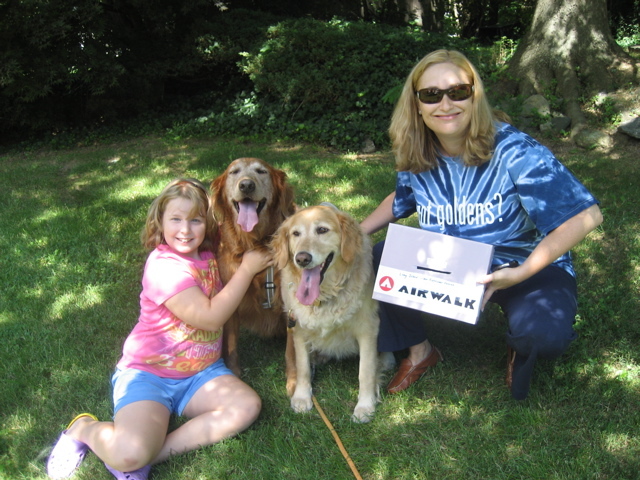 This page is dedicated to young people who work to support Long Island Golden Retriever Rescue. Thank you to all of you for your help and support! 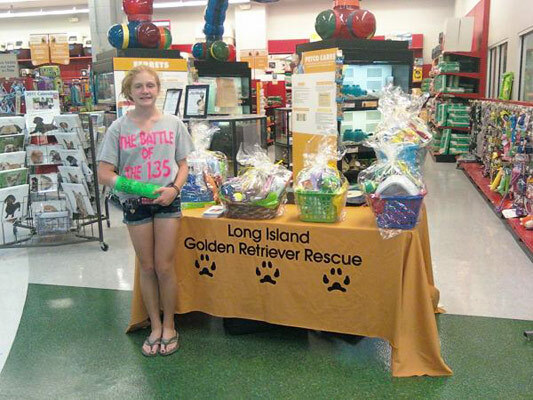 Madison graciously donated her time & efforts to help Long Island Golden Retriever Rescue. She spent eight hours actively fundraising at a PETCO event. She also distributed flyers in her neighborhood, asking for donations to make raffle baskets for LIGRR. Madison got so many donations that she was able to create eight baskets of dog goodies, which LIGRR uses to raise money to help our sick and needy Golden Retrievers. 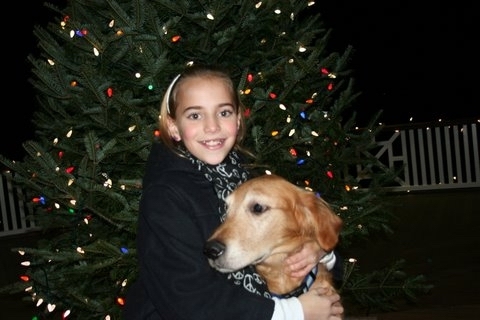 A Huge THANK YOU goes out to Madison from the people and pups of Long Island Golden Retriever Rescue!! We really appreciate your help. 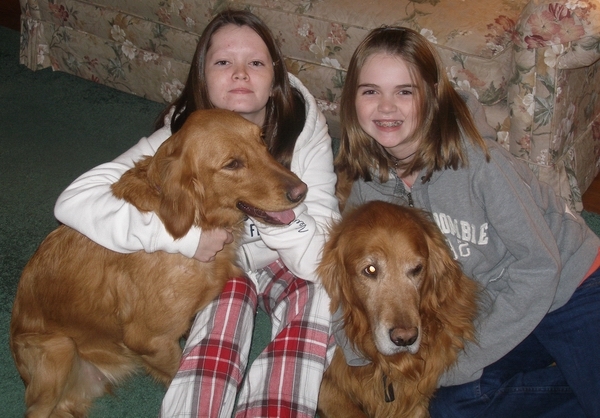 Meghan, a friend of LIGRR, raised $228 for our Golden Retrievers by asking guests attending her 10th birthday party to make a donation in lieu of bringing gifts. For more information about how your child can volunteer please contact us at 516-578-3803 or LIGRR@yahoo.com. Juliana is a special young lady who asked her friends and family to make donations to LIGRR in lieu of gifts for her birthday. 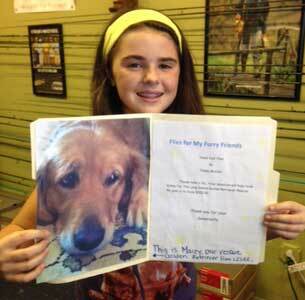 Her generosity will go a long way to help Golden Retriever's in need. Thank You Juliana from the bottom or our hearts. I think rescue is a beautiful thing. I&apos;m an animal lover and enjoy trying new things. When my mom told Eileen and I about LIGRR we were very excited! We kept bugging our mom to fill out the application form so we could foster. Rescue is a hard thing. So our mom told us that we can&apos;t keep every dog, and when the dog finds a home we should be proud. When giving the dog to its new owner, you feel sad. Everyone asks us how we do it, we respond "We must keep in mind that the dog has a place to call home and it will be happy there." Fostering is a hard thing to do. But once the dog is adopted, you feel proud. When we got our first foster, Woody, he was a mess! We gave him a bath, and he was very over weight (165 pounds) so Eileen and I had to exercise him. He got 3 tumors taken off in surgery and about a month later, he was doing great! He was the sweetest dog so our family decided to adopt him. Eileen and I do get attached to the dogs, but we know one must go so we can foster another. Although some fosters are harder than others, we do our best to get them ready for a permanent home. Eileen and I also enjoy the fundraisers. We get to meet other rescues, and say nice to see you again to the rescues we already met. Even though it's tiring to the dogs and us, we have fun with it. When I talk about LIGRR to my friends, I feel so proud. I feel that being a part of LIGRR and helping out is a great and wonderful thing, I'm proud to be part of it. 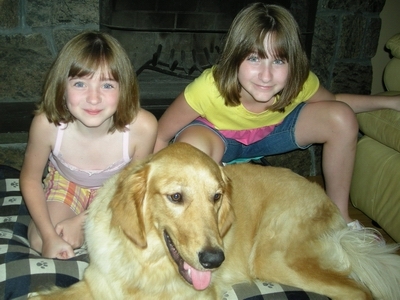 Victoria and Jacqueline have special place in their hearts for dogs, especially Goldens. As their birthdays approached they decided to request donations for the rescue in lieu of gifts. They wanted to help animals that were less fortunate. Their birthday celebration was a big success and their friends collectively donated $195 to the rescue. They enjoy learning about the work of the rescue and have helped out at PETCO fund raisers. These special sisters are thrilled to welcome the newest addition to their family! Tess is our busiest young volunteer ever! She has helped out at numerous PETCO events and dog shows. Most recently, Tess spent the long Labor Day weekend with LIGRR at Goldstock. 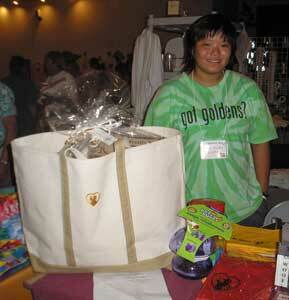 (Goldstock is a gathering of Golden Retriever rescue groups from all over the country.) Tess helped set up the LIGRR booth and spent hours behind the table, which allowed the rest of us to attend to other jobs. However, the most exciting thing was that Tess created an original oil painting of a Golden Retriever which was sold in Goldstock's Live Auction, with the proceeds going to LIGRR. Congratulations to both Judy, the winner of Tess&apos; beautiful painting, and to Tess for being such an exemplary young volunteer. THANK YOU, Tess!!! 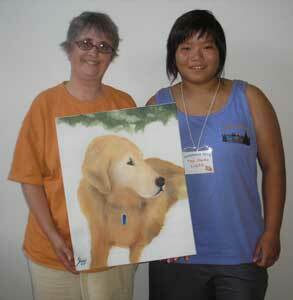 To Tessa a very special young lady who has done a great job to help Golden Retrievers.